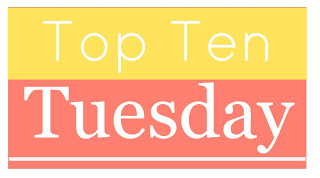 Top Ten Tuesday-Books That Will Make You Cry 2/4/14 | YA? Why Not? This entry was posted in Book Lists, Top Ten Tuesdays and tagged A.S.King, Andrew Smith, Elizabeth Letts, Elizabeth Wein, Gayle Forman, Jandy Nelson, Marie Lu, Markus Zusak, Melina Marchetta, tear jerker. Bookmark the permalink. The Sky is Everywhere and Winger are on my TBR ASAP pile! I need to read Champion, too. And yes, every A.S. King book. Ever. Haha. I tend to avoid tearjerkers, too. But that’s because I cry so easily when reading. Just little scenes that are sad, and I’m weeping and depressed for a week. Anyway, Code Name Verity definitely made me cry. I still haven’t read Rose Under Fire, but I need to. I haven’t read any of these other books (see above about the avoiding tear jerkers) but I do have Winger at home and I do want to read that. As soon as I saw today’s topic I thought to myself “anything A.S. King writes.” Also, apparently anything Elizabeth Wein rights as well. AND OF COURSE The Book Thief! Great list 🙂 even if it makes me tear up just thinking about these titles. I’ll be reading The Book Thief this year..